This area of the Deschutes River has been a river crossing and fishing location for thousands of years. Peter Skene Ogden made note of an Indian camp and bridge when he crossed here in 1826. Early pioneers using the Meek Cutoff to the Barlow Road passed here on their way to The Dalles and the Willamette Valley. 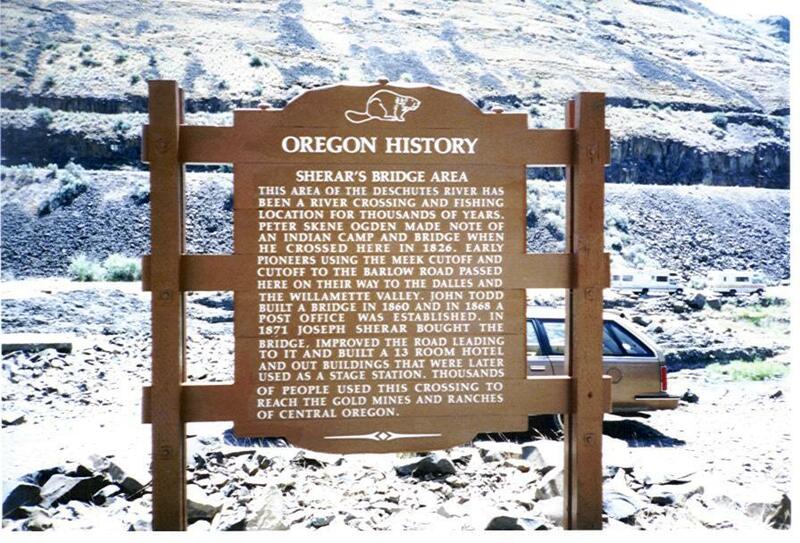 John Todd built a bridge in 1860 and in 1868 a post office was established. In 1871 Joseph Sherar bought the bridge, improved the roads leading to it and built a 13 room hotel and out buildings that were later used as a stage station. 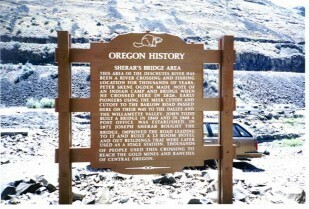 Thousands of people used this crossing to reach the gold mines and ranches of Central Oregon.